Private investigations are always hard work and it always takes a lot of dedication to get things done. It also depends on finding the right private investigator for the job. As you probably already know not all private investigators are created the same. Some are really great and will put in a lot of effort and others are really lazy. You obviously only want to do business with the private investigator who has a great reputation and who is a hard worker. We are definitely a private investigation company who works really hard and who will get the job done. Another problem with private investigations is when you need one who can work outside of the country. 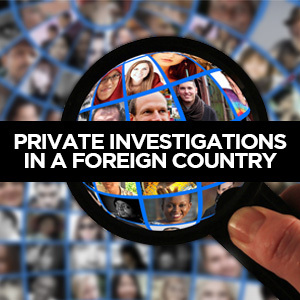 Finding the right private investigator or private investigation company who can do the job in a foreign country can be difficult but we can handle that. 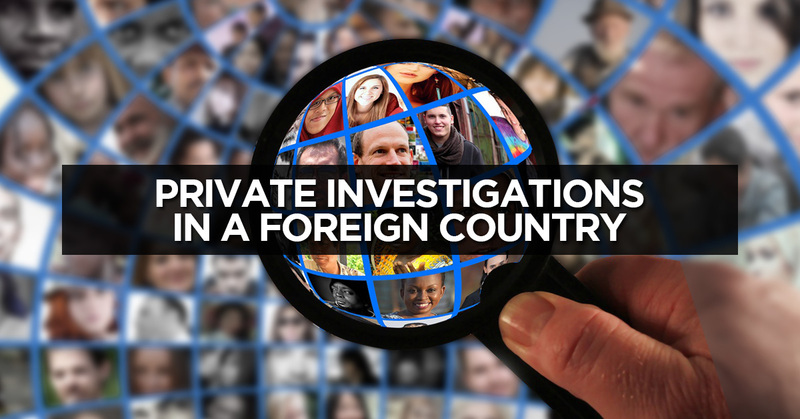 When it comes to a foreign country and finding out information it can be difficult but the right private investigator will make it easier. So of all things you need to focus on a private investigator with a great reputation, one who can get the job done and one who can handle investigations in another country. You might think that that is a tall order and for the average private investigator it probably is. For a company like ours who has been in business for a long time, a hard-working company, one who gets their clients the information that they need, handling private investigations in another country is not difficult at all. Sure the logistics are different from our day-to-day cases but we’ve got plenty of foreign investigations and we know all the goes into doing it and most importantly all that goes into it to do it right. So it definitely is the type of job that we can handle. So when you’re looking for a private investigator who can handle cases in another country, please consider us. Consider us because we have a great reputation, we give great customer service, we come well recommended, we have experience working out of the country and we can get the job done for you. We are definitely the right company for the job. We wanted a few companies who can handle this type of work and who can do a great job. The really are not a lot private investigators who can do this but we do it so well.